Maze solving robots are one of the most engaging ways to expose teens to engineering, electronics and coding. 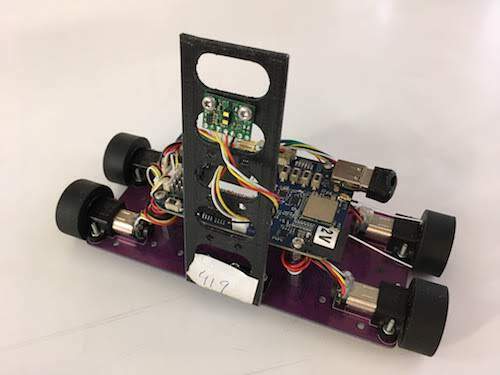 At the University of Ljubljana, the oldest and largest university in Slovenia, high school students are doing exciting work with robotic “mice” based on BeagleBone® Blue. 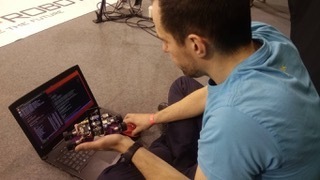 We met up at Embedded World 2019 with Rok Vrabic, researcher and lecturer of Mechatronics in the Faculty of Mechanical Engineering, who shared their program with us. Global robotic maze solving competitions such as Micromouse have been around since the 1980’s. Today, thanks to easy to use hardware and software, these competitions are inspiring the best students in the country to do challenging work that feels like play and at the same time encouraging them to consider engineering as a career path. Vrabic lights up when he talks about the students and the competition they are preparing for in Slovenia in May. In addition to BeagleBone® Blue and the rcpy library (modified a bit) they use DC motors with encoders with a gear ratio of 30:1. These competition robots favor speed over accuracy so distance sensors are made from IR photodiodes and phototransistors. One feature of the BeagleBone® Blue that they really enjoy is the 9-axis IMU, because rapid feedback is needed for precise turning when driving through the maze. With so many options available, why did Vrabic choose BeagleBoard.org for their students learning tool? In addition to inspiring new students, the instructors have big plans to incorporate BeagleBones® into their courses and lab. 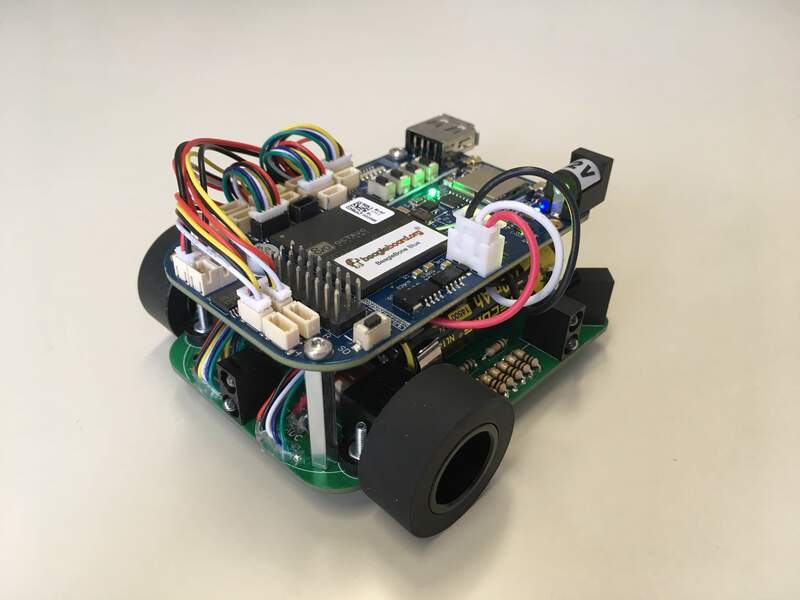 The faculty have started using them to teach ROS (Robot Operating System) and are also building a lab-scale AGV (autonomous guided vehicle) demonstrator, a multi-robot system, which should be finished early this summer. See more photos of their Mazerobots.